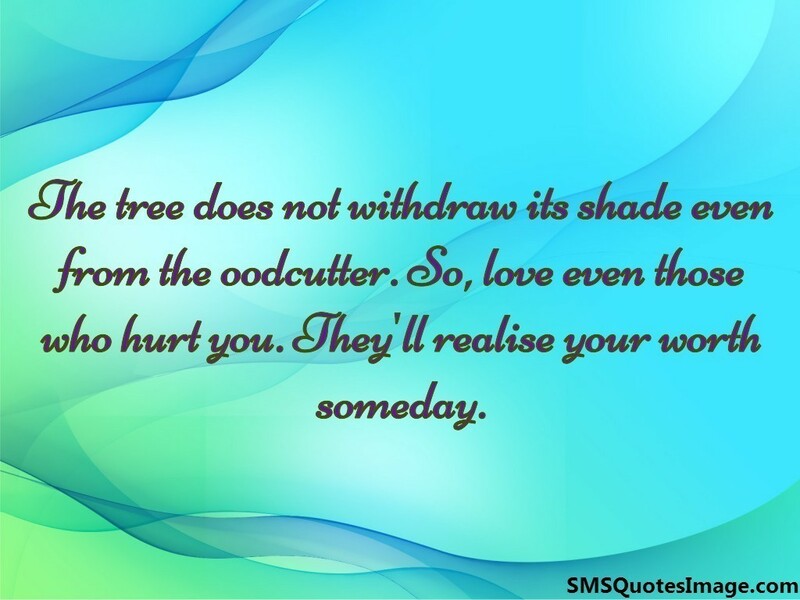 The tree does not withdraw its shade even from the oodcutter. 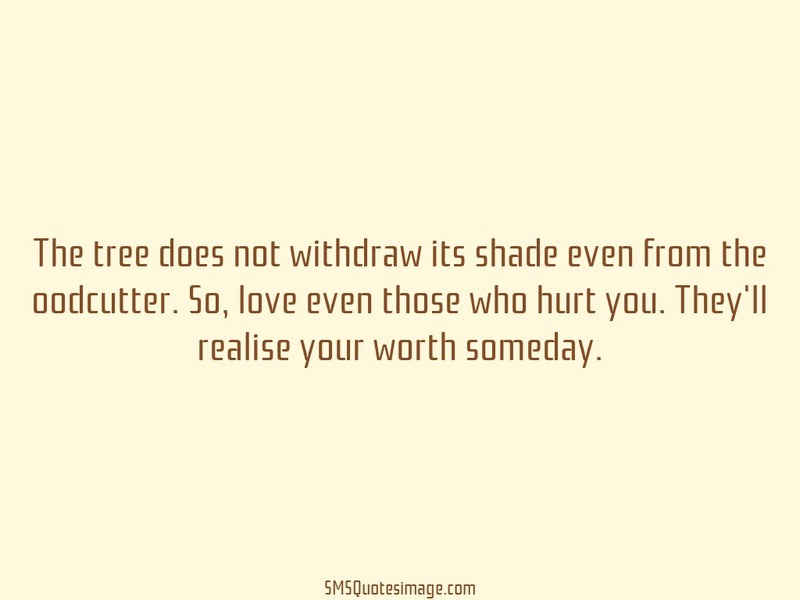 So, love even those who hurt you. They'll realise your worth someday.